This lightweight, creamy formula makes getting sunny summer eyes easy. Formula glides on smoothly and effortlessly. Feels springy – bounce to the touch sensation. 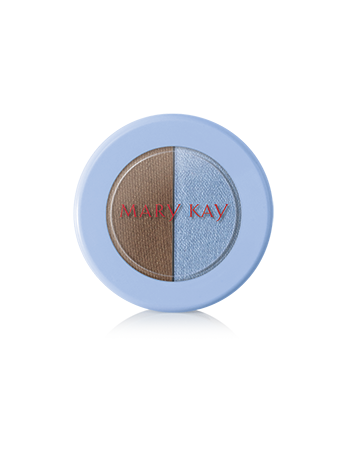 Rich, true, lasting color payoff. Smooth, even, slight sheen, cream-to-powder finish. With its springy feel, this lightweight, creamy formula glides on smoothly and resists creasing for lasting color that leaves an even, cream-to-powder finish. Springy eye duo is part of the limited-edition† Hello, Sunshine! Collection – spring’s must-have makeup featuring sun-washed hues with a beachy, vintage twist. Apply a sheer wash of color in one shade for a quick and casual look. Mix colors by applying one shade to the top of the lids and the other to the bottom of the lids. Wear both colors and blend together.